Now I appreciate this is something of a diversion from gardening, but the second love of my life (family and friends apart) is food. 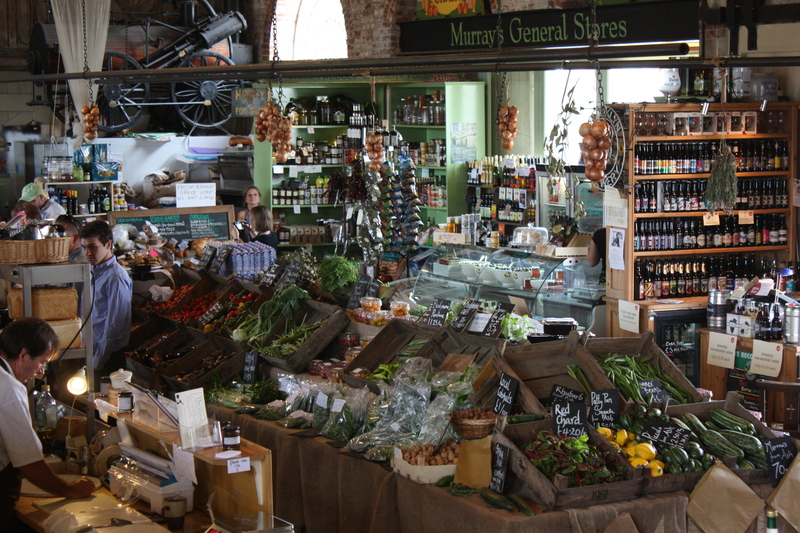 And if you love great food, you will love The Goods Shed, a daily farmers’ market, food hall and restaurant in Canterbury. This brilliant establishment began ten years ago at a time when local butchers, fishmongers and greengrocers were closing all over the city. We discovered it about four years in, when we moved to the Kent coast and have been regular visitors – and admirers – ever since. 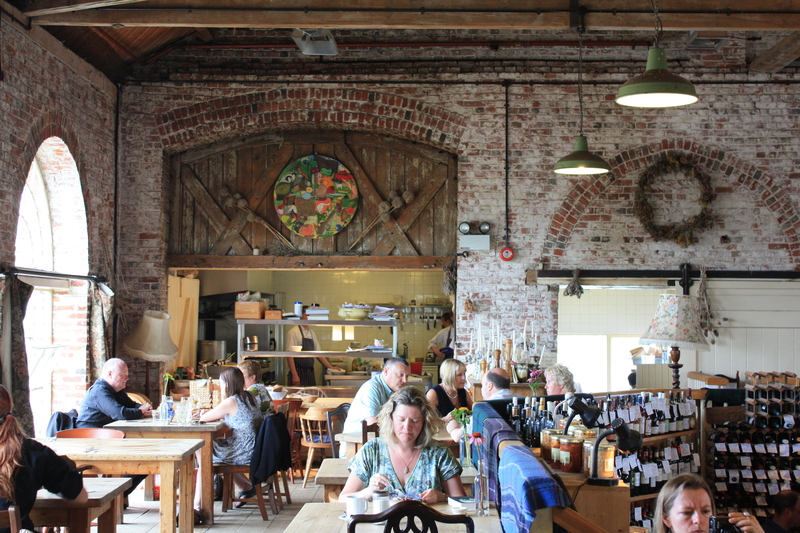 The Goods Shed brings together, under one very attractive roof, a network of food businesses supplying meat, fish and vegetables from local farms as well as kentish ales and a fantastic selection of British cheese and wine. We find it impossible to visit without buying some delicacy or another – this time half a dozen Romany sausages (pork with hedgerow herbs), succulent belly pork, lamb noisettes and a bottle of delicious pink fizz from Camel Valley vineyard in Cornwall. Budget allowing this will be my tipple of choice when I celebrate my 40th in January. If I am honest it is the kind of enterprise I wish I had thought of – the concept, location and execution is spot on and clearly has what it takes to keep going, even when times are tough and customers have other demands on their wallets. The restaurant, slightly elevated above the market hall, is one of the most consistently reliable and delicious we know. The kitchen uses as many ingredients as possible from the stalls below and the choice is always superb. On this occasion we enjoyed fresh sardines on toast, mini beef burgers, trout and pigeon breast all served with a vibrant green salad or crunchy vegetables. The red stemmed chard was especially rich and earthy tasting. 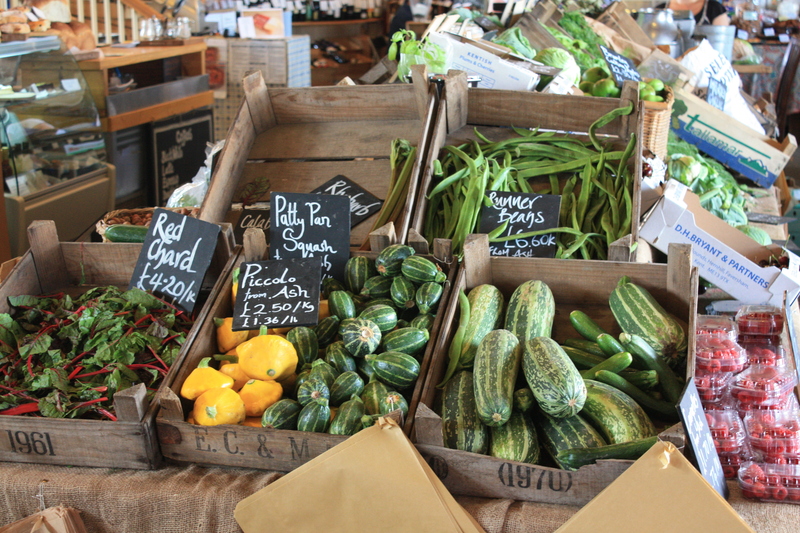 You’ll find nothing processed or pre-prepared here, just good honest unfussy food. The atmosphere is relaxed and genial – perfect for the day after the opening ceremony when all four of us were slightly worse for wear. Tomorrow The Goods Shed is celebrating being in business for 10 years with an outdoor screening of “From Soup to Nuts” (a short film by BAFTA nominated Tim Leandro) and will be offering complimentary suppers and sampling. If we were not on our way back to London for work we’d be there for sure. I hope we are around when they celebrate 20! What a wonderful place. Enchanting!